"Keep your eye on the prize!" Real estate became my career in 2003, and I love it. After experiencing excellent training at Keller Williams and wanting to be closer to where I wanted to practice real estate, I moved to an independent brokerage in Kingwood, where I gained further experience, knowledge, and skills that encouraged me to go out on my own. I became a broker in 2008 and opened Myriad Realty in 2009, a full-service, independent brokerage. The purpose of Myriad Realty is simple. It is to provide every client and customer with a positive real estate experience. Positive does not always mean successful because there are so many factors and players, but it always means using all that you know to lead it to success. I'm a lifelong learner and have expanded my knowledge by taking classes beyond the minimum and have earned many real estate designations, including the coveted Certified Residential Specialist®. 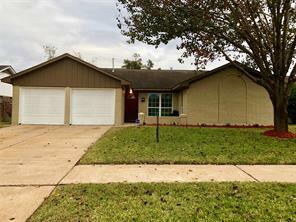 To date my knowledge, skills, and experience have grown to include myriad counties in the Greater Houston Area and myriad transactions including single family homes, landlord/tenant representation, condos, unimproved land, and commercial. Personally, I've lived in Houston most of my life. I have a M. S. in Information Systems Technology, University of Houston Main Campus, where I also earned my Bachelors and almost completed my EdD. Down time includes reading or playing with Ruby the Rottweiler. Lilly Hughes can help you estimate the value of your home and get an accurate estimate commonly used in the real estate market, known as a Comparative Market Analysis or "CMA". By Lilly Hughes on Jul 24,2018 in I Am a Texas REALTOR(r)! What's a Bedroom? On Jul 24, 2018 - by Lilly Hughes in I Am a Texas REALTOR(r)! Love Your Pets? But Not the Odor? By Lilly Hughes on Aug 13,2017 in I Am a Texas REALTOR(r)! Love Your Pets? But Not the Odor? On Aug 13, 2017 - by Lilly Hughes in I Am a Texas REALTOR(r)! By Lilly Hughes on Jul 15,2017 in I Am a Texas REALTOR(r)! Hurricane - or-- Other Windy Storm Tip On Jul 15, 2017 - by Lilly Hughes in I Am a Texas REALTOR(r)! A cost-effective strategy for updating your home ? for a sale or for your own enjoyment! 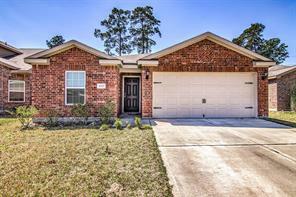 By Lilly Hughes on Feb 11,2013 in I Am a Texas REALTOR(r)! A cost-effective strategy for updating your home ? for a sale or for your own enjoyment! On Feb 11, 2013 - by Lilly Hughes in I Am a Texas REALTOR(r)! 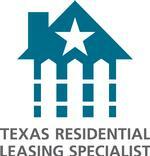 By Lilly Hughes on Oct 19,2012 in I Am a Texas REALTOR(r)! Staging = Improving Success of Selling On Oct 19, 2012 - by Lilly Hughes in I Am a Texas REALTOR(r)! 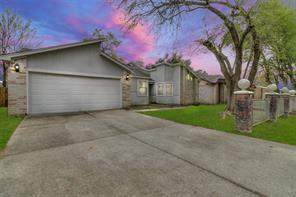 By Lilly Hughes on Oct 13,2012 in I Am a Texas REALTOR(r)! Save Your Money ? Gasoline saving tips On Oct 13, 2012 - by Lilly Hughes in I Am a Texas REALTOR(r)! Lilly Hughes with Myriad Realty is a real estate professional in TX. View Lilly Hughes bio, Listings by Lilly Hughes, Neighborhoods where Lilly Hughes is active and more. You can contact Lilly Hughes by phone, email or visit the website.